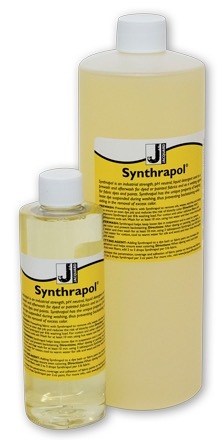 Synthrapol is used to prevent backstaining, which will result if the excess dye is not removed when dying. It is a mild soap specifically made to suspend and carry the dye from the fiber. Rinse the fiber thoroughly with a small amount of synthrapol, then add one tablespoon to each wash load when laundering the fresh dyes.